IT Cosmetics has so many new products coming out for the fall season like the Bye Bye Lines Foundation. 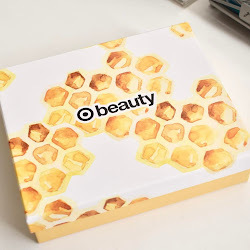 It is great for all skin types and has a light/medium coverage that is buildable. There are 7 shades to choose from in the line. 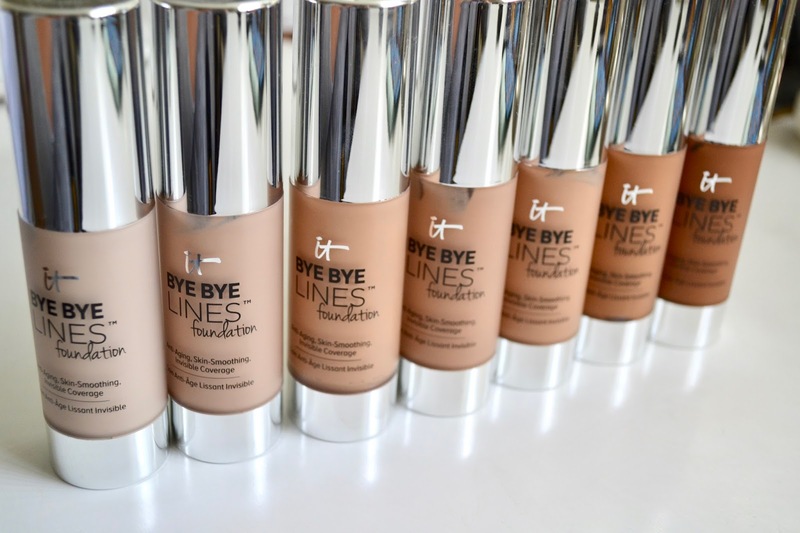 The foundation has all kinds of anti-aging peptides, argan oil and more to give your skin a radiant look. 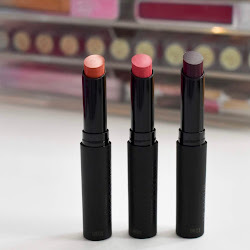 Find out more and see swatches below! I found the packaging to be simple and easy to use. The foundation comes in a sturdy plastic bottle and it has a pump which I always prefer when it comes to this kind of product. You don't need much of the product and it is definitely buildable. It contains anti-aging peptides, caviar extract, hydrolyzed collagen, hyaluronic acid, argan oil and babassu oil, plus vitamins A, C, E, B1, B2, B3, B5, B7, B9 and CoQ10. I use the medium shade and the match is pretty good to my skin tone. 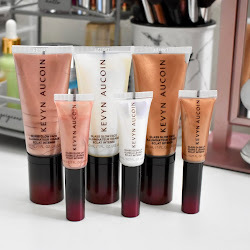 The formula is lightweight and it feels like I'm not wearing much makeup at all. 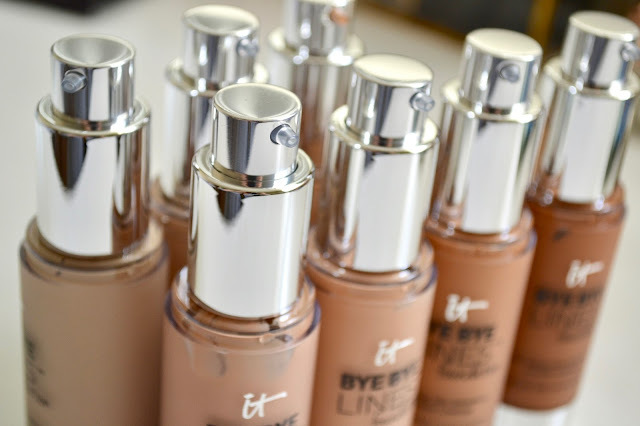 This foundation has been great during these hot summer days since I want something that is not too heavy. It starts out as an anti-aging serum and is infused with pure color pigments. I need some evening out with my skin and this really does the job. Once on the skin, it looks really natural and gives a glowing finish. My skin is dry/sensitive and the foundation provided hydration and an airbrushed look all day long. The best method to apply it is with a brush or fingertips. I tried it out with a blending sponge but I feel like since the it is lightweight, the sponge soaks up some and I'm having to pump too much. This is great for those that want a foundation that is going to do more for your skin over time. 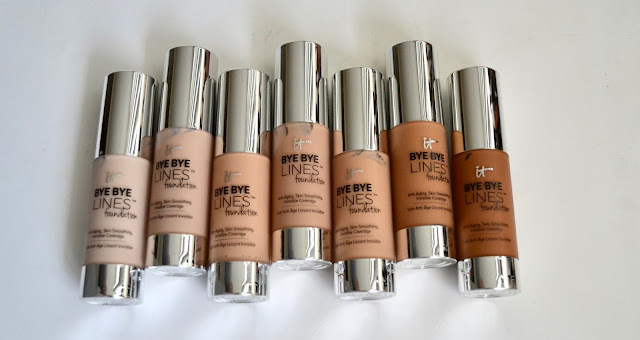 IT Cosmetics Bye Bye Lines Foundation retails for $38 and can be found at Ulta and other retail stores.